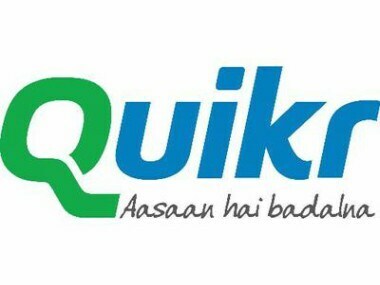 New Delhi: Online classified platform Quikr on Monday announced the acquisition of Chennai-based India Property Online Pvt Ltd as part of its strategy to strengthen its real estate transaction and classified business. Quikr has acquired many companies in real estate space, including Commonfloor and HDFC's subsidiaries HDFC Realty and HDFC Developers. Quikr in a statement said that it has acquired India Property Online, a leading full-stack real estate platform. It, however, did not disclose the deal value. 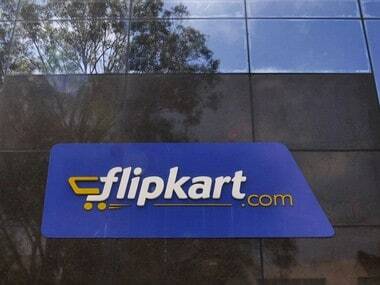 "The move is another important step in Quikr's strategy of building transactions on top of classifieds," it said. Real Estate contributed to 35 percent of Quikr revenue in FY17-18 and is a profitable vertical for the company. The business is on track to again grow more than 100 percent in FY18-19, the company said. 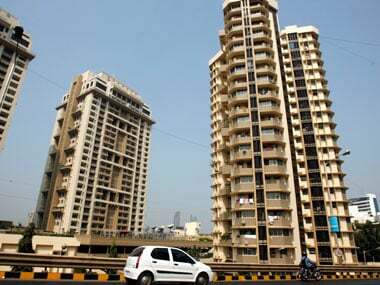 "With $180 billion market potential, Indian real estate is one of the largest sectors of the economy. Since verticalisation of our business, we have looked at both organic and inorganic ways to go deeper in this strategically important category. "The strong base of India Property in southern states and its full-stack model will help us grow our transaction business while also adding to our classifieds base," said Pranay Chulet, founder and CEO, Quikr. In December last year, Quikr acquired HDFC's two subsidiaries HDFC Realty and HDFC Developers in an all stock deal for an estimated Rs 357 crore. Some of the other acquisitions include Indian Realty Exchange (IRX), a mobile-first aggregator of real estate brokers, and RealtyCompass, a platform that provides builder rating and project analysis. It also made a strategic investment in A N Virtual Tech that offers detailed real-life imagery of streets and buildings across India. The latest acquisition, India Property, offers solutions that simplify property buying, selling and renting. It lists over 6 lakh properties and 8,000+ verified builder projects across 15+ cities in India. The company monetises on both the demand and supply side of the market, with solutions enabling property search, diligence, financing, and transactions. The Chennai-based firm has also built a powerful analytics platform using street-level transaction data for residential properties covering about 5 million properties in South India. India Property is backed by leading VC fund Bertelsmann India Investments and Mayfield. Quikr said the company is now the largest transactional player in real estate with two growing models - a co-living business to offer shared rentals to millennials, and a brokerage business for home buying. Both businesses derive their supply and demand from Quikr's sizable classifieds base in QuikrHomes and Commonfloor. In the co-living business, Quikr said it is the largest player in the country with over 70,000 tenants at the end of November. 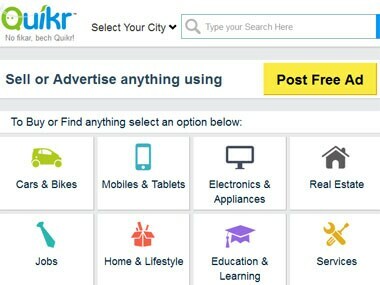 With 30 million monthly users, Quikr is India's largest classifieds platform with a valuation of over Rs 10,000 crore. It runs multiple vertical businesses across real estate, automobiles, education, jobs, services and goods sectors. Quikr's investors include Tiger Global Management, Kinnevik, Warburg Pincus, Matrix Partners India, Norwest Venture Partners, NGP Capital, Steadview Capital, Omidyar Network etc.